Every so often, you may need to attach a large file to an email, but typically, email is not a very reliable way to transfer big files. The solution is to find a reliable file hosting service that also lets you send an email notification with the relevant download link. 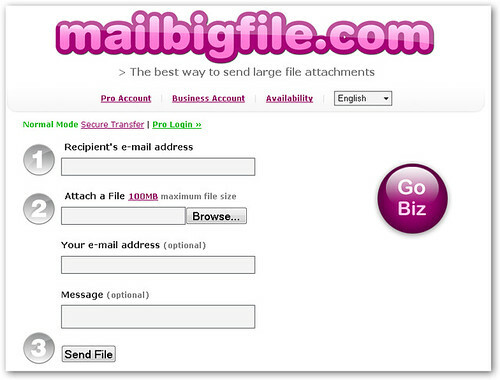 MailBigFile does just that with a simple one-page form that lets you select a file to upload and specify an email address that you want to receive the file. Files are stored for 3 days under the free mode. One thing to note is that you even though you don't need to give your email address to send files, MailBigFile does identify your IP address in the emails it sends to recipients.